Obesity in children is becoming a growing concern among urban parents! 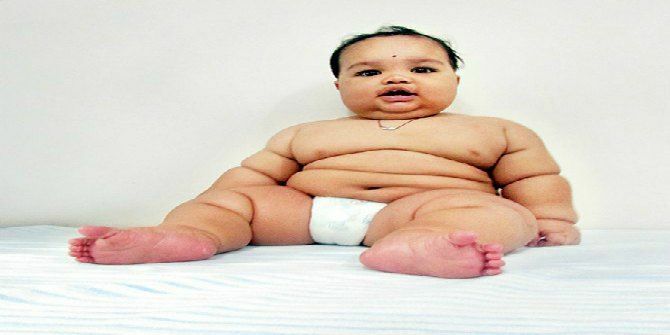 Ever since Shreejit Hingankar has been born, the 10-month-old Punekar has been pulling his weight, literally. Hingankar suffers from a rare disorder because of which, he has been putting on tremendous weight month on month. The doctors recorded his weight at 3kg, 15 days after he was born. According to the doctors, he suffers from leptin gene mutation, which makes him weigh what he is today—17kg. They are concerned that if his weight isn't controlled naturally, they might have to perform a weight loss surgery. Moreover, his condition may prove to be life-threatening. Hingankar consumes food just like an adult, says his mother Rupali. He can a chapati or even more all by himself and survives on one-and-a-half litre of milk. “There is no history of obesity in our family. My older son, Rushikesh, who is five-year-old, leads a normal life. The whole day, Shreejit wants to eat something. If we don't give them food, he will start crying. We have shown him to many doctors," Rupali told DNA. Because of his excessive weight, Hingankar finds it difficult to sit for long. However, coming from an underprivileged background, the family fears that they won't be able to afford the medical treatment which will cost them up to Rs 6 lakh. Hingankar's father works as a watchman and is the only earning member of the family. Considering the financial condition of the family, Dr Shashank Shah, former president of the Obesity Surgery Society of India and a bariatric surgeon, has taken up the onus to take care of Hingankar's medical expenses. Good samaritan, we say! Increasingly, obesity in children is becoming an increased concern among parents. Are you concerned about growing obesity in children? Please share in the Comment box below. Mum Aishwarya stopping Aaradhya from doing THIS on her birthday is so like all of us! After welcoming twins last month, Cristiano Ronaldo is all set to become a dad again!